Post industrial mankind's fascination with material progress has, since the industrial revolution, played the dominant role in the direction taken by Westernized societies. 'The machine', along with the material and financial wealth necessary to own and operate it, has steadily subsumed more human centered values that preceded its dominance. Fascination with so called modern technologies of the present day, represent an extension of the general obeisance paid to the rising totem of technological 'advances' over the past three centuries. It has led to the point where such innovations no longer claim to be about 'lessening the work load' , but almost openly proffer the claim of being convenience drugs without which much of Westernized society could barely function at all. Controversially, each step along the way to this point of abstraction has involved leaps of imaginative thinking that draw upon universal energetic principles. The genius of Nicholas Tesla being an example of such. Yet, simultaneously, each 'advance' has brought with it a swathe of deficits to the health and welfare of the natural environment, man, animals and insects; threatening to undermine the very fabric of planetary sustainability. The synthetic microwave energy that has gained such prominence over the past twenty years, has aped the rhythm and pulse of universal energy, and in so doing it has offered mankind a parallel model to live by. A synthetic reality, not our true reality as spirit-energy led beings. I am putting the question of whether such 'innovations' take mankind - closer to or further from - the place which our hearts call upon us to go? That enlightened state which our deeper consciousness constantly calls upon us to express and live by in the here and now. If it takes us closer, then why is the incremental price being played by people, plants and insects, so high? Quite possibly so high as to undermine the living fabric of the planet to a point where no natural return is possible. To a state where planetary life becomes a 'virtual' copy of the original. A gene modified substratum of real life. distort natural ecological and human rhythms in order to reach some form of technological enlightenment? What in the West we call 'a high standard of living' now demands access to a whole range of electromagnetic, microwave and electronic gismos that have exploded onto world markets in the past two decades - creating a permanent cloud of electromagnetic smog - and fitting neatly into 'the hidden hand of control's' preferred form of imprisonment of mankind. a cross-over point in which computerized power overtakes the capacity of the sentient human brain to exercise normal daily decision making procedures. A place where genetic engineering and nanotech synthetic realities become the norm, and humans cross the red line that keeps humanity separate from being subsumed into a race of technologically programmed cyborgs. At which point the human race will have lost touch with both its cosmic and earthly reality altogether. How do you stand with the cell phone/Ipod/Wi-Fi revolution of the past two decades? Where do you want these 'oh so clever' technologies to take you? Is it really worth cooking your brains and interfering with the natural rhythms of wave form universal energy, just to be a more 'smart' business man or woman? Just to have almost instant access to friends, family and associates? Just to make it possible to hold mindless conversations that achieve nothing other than a vague sense of comfort - and are just about as useful as the processed junk food in a typical supermarket chain store? Is it too much to expect that those who possess these gadgets will work at freeing themselves from their toxic convenience addictions? Are we allowing our lives to be dominated by a simulated electronic pulse that is the perfect tool for mass mind control? Or, are we seeking to attune ourselves a natural pulse which is guiding the subtle sensibilities of our very own hearts? To which of these do you give priority in your daily life? The heart is not a technological construct. It operates on a wavelength which is critical to the flowering of our spiritual path. It responds to a Universal rhythm of which man is an integral part and which is every individual's birth-rite. Had we been consciously operating on this heart and spirit led frequency over the past centuries, mankind and planet Earth would not be in the perilous psycho-physical state of imbalance it is in today. If all technology had been kept to largely benign and human scale proportions, it would have been inconceivable to have come up with weapons of mass destruction our nations arm themselves with today; or indeed the uranium fuelled nuclear power stations that provide their fissionable materials. As we stand today - at the eleventh hour of our demise or possible reprieve - these issues stand starkly in front of us. Something has to give. The rapidly approaching threat of a Wi-Fi 5G roll-out, with its violent, volatile microwave transmissions tuned to almost exactly the same wave length as the human neocortex, must serve as the red line technology that simply cannot be allowed to happen. physically, psychologically, mentally or spiritually. The entire animal and plant kingdom, already battered by 2, 3 and 4G microwaves, cannot survive any further bombardment and retain any chance of remaining sentient, sensitive and truly alive. All those who are aware, however dimly, of the harm we are doing to ourselves, others and our shared environment by carelessly adopting the latest pocket sized weapons of mass destruction and the 'internet of everything' which they plug into - have just a few months to join in a mass protest to prevent the 5G horror from becoming reality. We are at a turning point in the affairs of man. A new 'awareness-energy' is emerging within all of us; an energy which is the antithesis of the synthetic variety. It is a God given energy, a gift which is bestowed upon us as an integral part of our condition of being human. Now is the time for us to use this gift and to turn the tide on our misadventure. A misadventure under the jackboot of a centralized global cabal that cares not one iota for the fate of our planet, other than the fact that it is held captive and submissive. However, it is a force which pales into insignificance when compared with the full power of awakened consciousness. Yet it has nevertheless been allowed (by us) to turn this planet into something approaching an emotional, spiritual and physical desert. 5G is perhaps the ultimate tool of repression, because it comes disguised as a seeming technological break-through that the unknowing will adopt without giving a thought of what it actually is. 5G is scheduled to be put into affect next year, 2019. The plan is for more than four thousand satellites to be launched into the planet's upper atmosphere over a two year period. These satellites are designed to blanket cover every square inch of the planet with a Wi-Fi web of unparalleled output. Meanwhile millions of new 'masts' will be constructed to transmit the extra short Wi-Fi pulses to cities, towns and countryside locations throughout the planet. 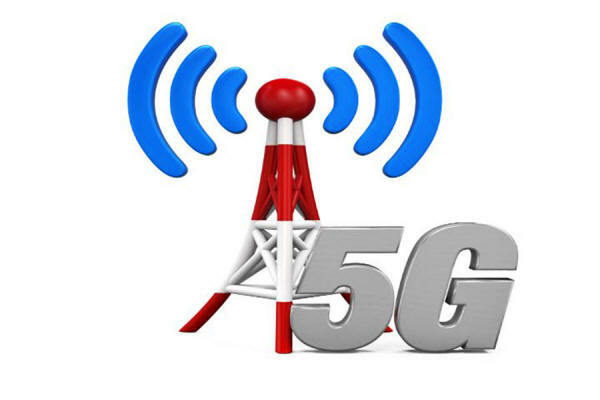 2,3 and 4G transmissions have already raised deep scientific worries about their affects on humans, animals, insects and plant life; 5G is set to vastly escalate existing concerns. It presents an almost unimaginable danger to life on Earth. Should such a scenario ever be fulfilled, mankind will have 'souled-out' to a lethal technological toy whose only claim to fame is that it will provide 'instant' access to fake news and mega volumes of corporate enriching junk information. Are we going to continue to allow ourselves to be led into a world dominated by a processed Wi-Fi microwave pulse tuned so as to directly interfere with our natural communication channels? Channels to and from the Divine source of all life on this Universe? Are we going to completely submit our God given creativity to be hacked by a 'smart' mechanical construct controlled by a less than human corporate cabal? Are we going to continue to idly flirt with a Cyborg Transhumanist agenda that promotes a technology that 'does our thinking for us'? Are we seriously ready to abandon ourselves and our planet to the neutering, sterilizing affects of the engineered electromagnetic microwave? I ask all these questions because that is the way it looks like going - unless a big wake-up call swings humanity into a another trajectory. That trajectory involves us seizing hold of the genuine creative upsurge that fuels our quest for truth - and learning to align ourselves with the synergistic harmony of our quantum universe. The road of truth cannot be be walked by following the 'convenience script'. ...and start a new life - while you still can. Whatever you do, get involved in all efforts to block 5G from gaining momentum - or start your own initiative. As a precondition for the sanity of human kind - it must be stopped. Take back control of your destiny as an individual able to think outside the box, and learn to retune yourself to the infinite wavelength of conscious awareness. Let it direct you out of the godless prison so cunningly devised by our oppressors.